Hosts Fiji kicked off their Three-Nations FIFA International tournament involving New Caledonia and Mauritius with a convincing 3-0 win over Les Cagous at Suva’s ANZ Stadium while Solomon Islands recorded a 3-1 win over Vanuatu at Honiara’s Lawson Tama Stadium. Samuela Drudru opened the scoring for Fiji with a right-footed low drive inside the box in the 36th minute before netting his second with a close range header nine minutes later to give the hosts a well deserved 2-0 lead at the break. The second half produced a far more even contest before Rusiate Matererega capitalised on a blunder by New Caledonian goalkeeper Raymond Saihuliwa to seal the win in the 90th minute. Fiji’s Football coach Christophe Gamel dedicated Fiji’s win to the families of the victims whose life was claimed in the Christchurch terror attack last Friday. “The score was great and we dedicate it to all the people in Christchurch and particularly the three Fijian families who are affected by the terror attack,” he said. Despite the comprehensive win Gamel refused to get carried away with his side’s performance. “We can develop better situations and our last touch of the ball is always wrong and we really need to perform better, as I have said, we need to perform better if we want to do well in the Pacific Games,” the Fiji coach added. In the next match of the Three-Nations tournament New Caledonia will take on Mauritius in Lautoka ‘s Churchill Park on Thursday before the final match between Fiji and Mauritius at the same venue on Sunday. Elsewhere, Solomon Islands have defeated Melanesian rivals Vanuatu 3-1 at Honiara’s Lawson Tama Stadium. 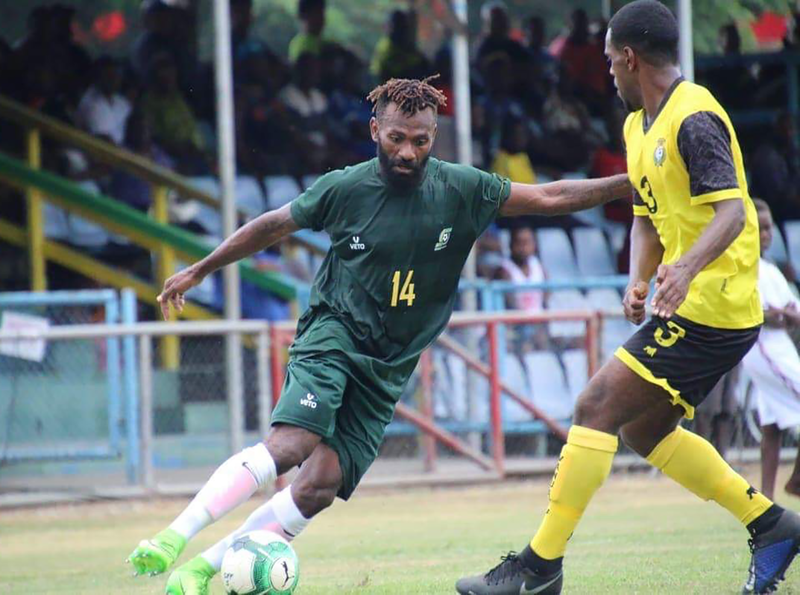 Following a swift counterattack, skipper Benjamin Totori had set up Dennis Ifunaoa to give the home side the lead in the 17th minute but Vanuatu responded just two minutes later to level the scores courtesy of a Kensi Tangis header. In the second half Micah Lea’alafa came off the bench to make an instant impact as he latched onto a through ball from Totori to slot home in the 53rd minute before Joses Nawo capped the win twenty minutes later. Solomon Islands will next travel to Taiwan to face Chinese Taipei on Sunday.